Lend us your skills & learn new ones! 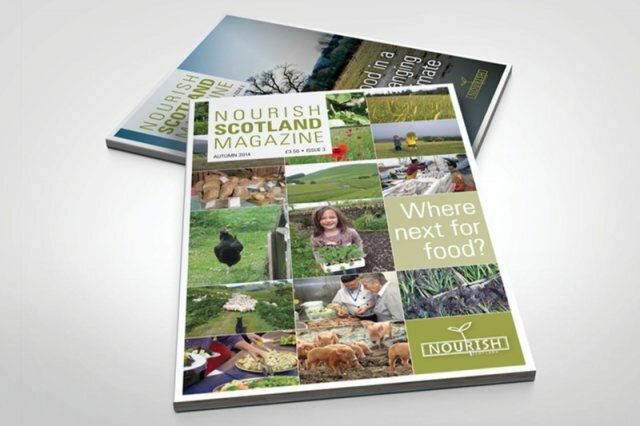 This article was written by Celia Nyssens for Nourish Scotland. Our food system is strongly influenced by EU policies and politics. Yet, it has barely featured in the ongoing debates about the EU Referendum of June 23rd. At Nourish we believe that despite some rightful criticism of the EU, Scotland and the other nations of the UK are better off in the EU than out. In the particular case of our food system, the case is strong: membership of the EU is better for our people, environment, and economy – both today and in the future. How does EU membership affect our everyday lives, through its impact on our food system? What do we stand to loose or gain from the outcome of the referendum? We identified 4 areas in which the EU impacts our everyday lives – not in terms of jobs and wealth, but rather of wellbeing and quality of life: democracy, social rights, public health, and food culture. Our food system, just like all of society, needs more democracy – at all levels, from the very local to the Scottish, to the global. The EU level is one of the inextricable layers of governance of food and farming. The democratic credentials of the EU are far from brilliant. Everyone in Brussels recognises this, they call it the EU’s democratic deficit. Democracy, however, is not something that is or is not and cannot change. Rather, democracy is achieved through constant efforts by citizens and politicians towards better accountability of government, transparency of policy-processes, and citizens’ participation in policy-making. Leaving the EU might seem like an easy solution to rid ourselves of the EU democratic deficit problem. However, the EU will continue to influence our food system whether we are in or out (because even out, our trade with EU countries would force us to abide by EU regulations for fisheries and agricultural products), but if we are out, we will have no say. So a better answer may be to stay in and join forces with the many people who are working to make the EU more democratic. With the European common market, comes “Social Europe”. Although these two words make many Brits cringe with dislike, regulation for workers’ and consumers’ rights protection is absolutely necessary in a common market to prevent a regulatory ‘race to the bottom’. This is especially true in the food sector, where many jobs still lack proper security. In case of Brexit, the Tory government is highly likely to cut down on social regulation. That would make businesses happier, jobs less secure, and society more unequal. Through food safety and air and water quality regulation, the EU has significantly contributed to our present high quality of life. The impact of the Common Agricultural Policy, however, is less positive. First, the CAP is seen to have promoted the intensification of agriculture and industrialisation of our food system, which have led to high pressures on food producers and processors, resulting in scandals such as the horse-meat lasagna. Yet, this trend would assuredly been at least as strong outside the EU. Second, because the subsidies distributed to farmers through the CAP disproportionately support the production of cereals, meat, and oil crops; horticultural production has strongly declined. As a consequence, fruit and veg are relatively expensive, and the UK imports 40% of our fruit and veg consumption. Europeanisation of British food is not solely the result of EU membership, it stems from increased wealth, easier travel, better education, and a generational shift since World War 2. Neither is Europeanisation the only trend that changed the food landscape in the last decades; so have commercialisation, “supermarketisation” and corporate concentration. None of these trends will end if the British people decide to leave the EU; so would we be in a better position to fight off the negative trends and embrace the positive ones in or out? How are we now, and will we be in the future, best able to solve environmental challenges? The best examples of beneficial EU policy-making are action on climate change, the circular economy strategy(although the ambitious food waste targets were sadly dropped at the last minute), conservation policy, and the air andwater quality directives. What do all these very different policies have in common, that makes them so strong? The EU approach. It is based on cooperation and compromise, includes medium- and/or long-term targets, and most often sets the general policy framework while giving flexibility to national governments in how they implement those policies. Unfortunately, the environmental record of the EU is not as positive in the field of agriculture and fisheries. Would we take better care of our seas and soils if we were no longer members of the European Union? While there are signs that the Scottish Government may choose to do the right things, it is more dubious that the UK Government would do so too. Civil society has a crucial role to play in guiding policy-making towards more public goods delivery oriented agricultural and fisheries policies. Yet, the UK Government keeps making it more difficult for civil society organisations to influence policies. So would we be better off without the EU level and focusing our efforts on Westminster and White Hall? Maybe, but civil society and environmental lobbies throughout Europe have been putting a lot of pressure on the EU institutions to improve the environmental stewardship of the CAP (agriculture) and CFP (fisheries). This may be an opportunity to join our voices to theirs to put pressure on our politicians from the bottom up as well as the top (EU) down. How does the EU influence the economics of our food system? Would we be in a better position to change the gameoutside the EU? Farmers are usually not the EU’s greatest fans, but many are dependent on EU subsidies to survive in the present hostile economic climate. The vast majority of fishermen mistrust Brussels and resent EU rules. The CAP was established to boost food production in Europe. In that endeavour it succeeded quickly, but also brought about the proliferation of intensive agriculture and desertion of rural areas as many small farms went (and continue to go) under. Over the last four decades, the CAP has influenced what food is grown in Britain, how it is produced, and how much money farmers get for it. Civil society throughout Europe, as well as high-level politicians, are demanding a meaningful reform of the CAP by 2020. The CFP was established as a conservation policy with the aim to centrally manage Europe’s fish stock in order to prevent further depletion. However, fishing quotas have been mostly ineffective, and the end of nationally controlled fishing waters has been translated into destructive competition for small fishermen. Would our governments support small farmers and fishermen better if we were no longer in the EU? Or should we join our voices to the demands for CAP and CFP reform? The CAP influences food prices in a very complex way. Leaving the EU would have consequences for the cost of our weekly food shopping, but how exactly is difficult to say. What is quite clear is that fruit and veg would become more expensive due to new import tariffs – we import 40% of our fresh fruit and veg from the continent. In the longer term, horticulture could be supported by our governments to increase home grown supplies, but in the short-term the likely rise in prices would have bad impacts on the ability of poorer households to eat healthily. Beside fruit and veg, we also “import” a lot of our food sector’s workforce from the EU. The looming possibility of Brexit means a lot of uncertainty for the thousands of Europeans working in Britain and would make a serious blow to our service sector. Europeans are also often employed as seasonal agricultural workers. Will we find enough Brits to take up those jobs, or will European citizens continue to work here, but illegally and with less protection? It's important to us that everyone is able to access our information, we don't want to put barriers in anyone's way. That's why this site is tested for accessibility. If you have any problems please contact us. Our work is licensed under a Creative Commons license in the hope that others will build on and develop it and make such improvements available to others. For more information click on the image below. The Kindling Trust is a not for profit social enterprise with charitable aims (Company number: 6136029).